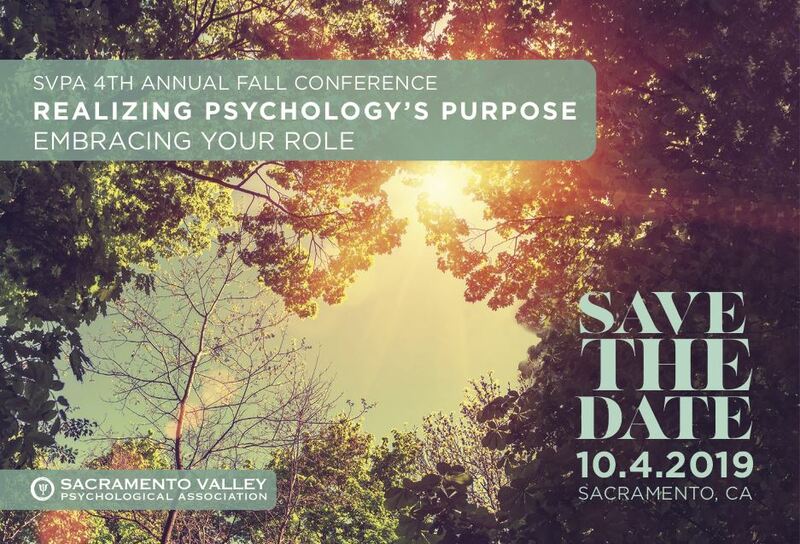 The Sacramento Valley Psychological Association (SVPA) promotes education, advocacy, and networking opportunities for psychologists to advance our field and benefit our community. 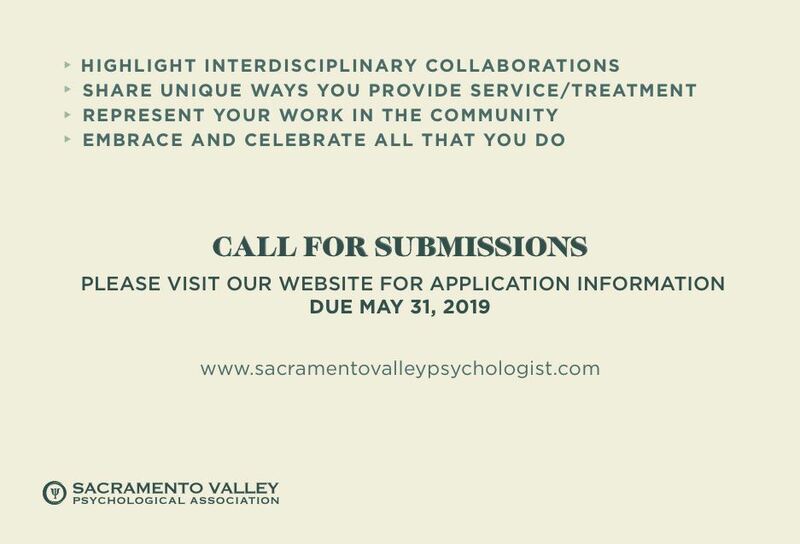 We are a regional Chapter of the California Psychological Association (CPA) representing psychologists throughout the greater Sacramento Valley area. We encourage professionals, legislators, and the public to learn more about the resources we extend to our community. Click Here to Renew your SVPA Membership. 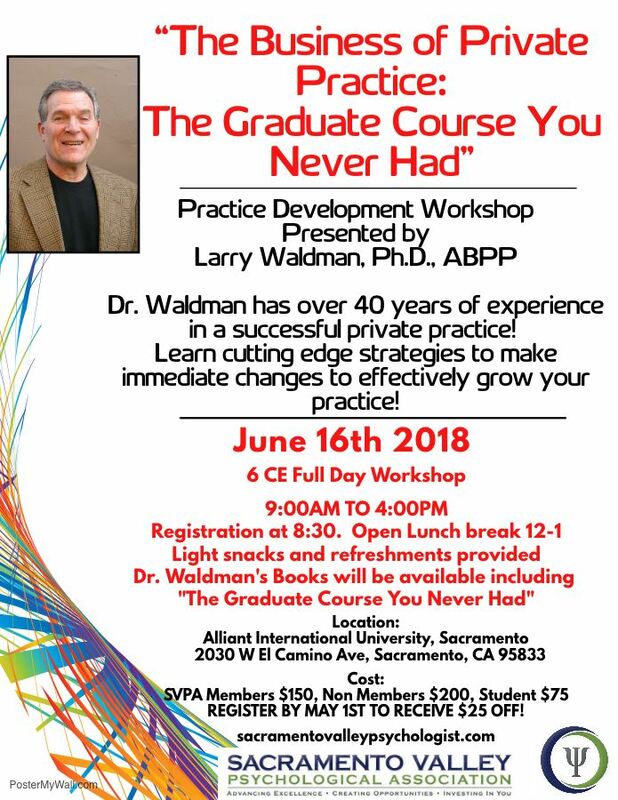 Click Here to Join the SVPA. * Board meetings are the first Monday of every month, unless otherwise stated. Meetings are called to order at 7pm.